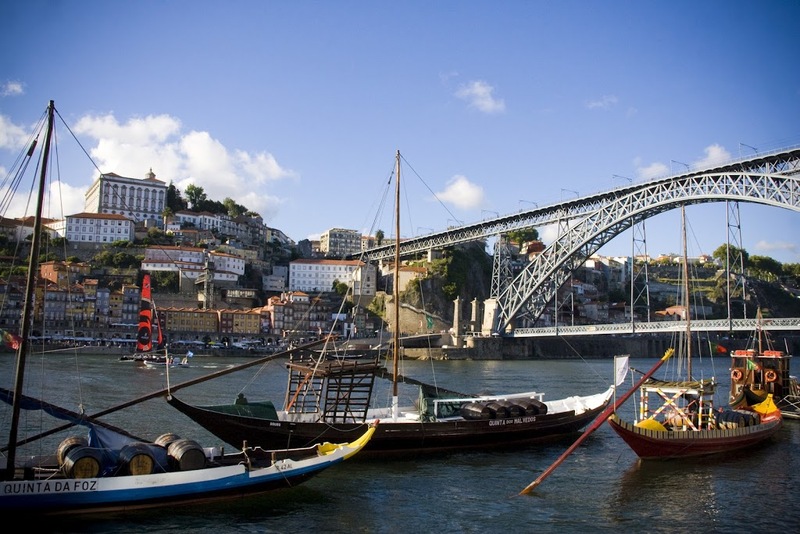 Considering how many people visit Europe every year, it’s surprising how few itineraries feature Portugal. 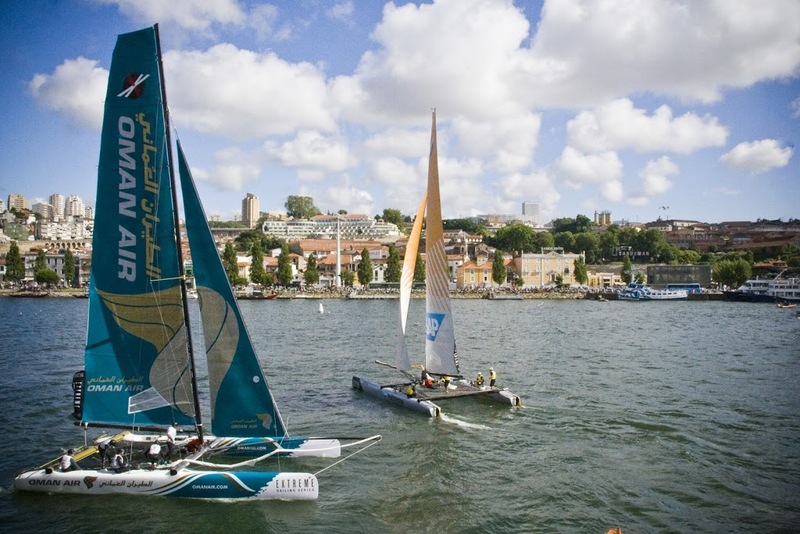 And even then, the majority of tourists are flocking to the beaches in the south. 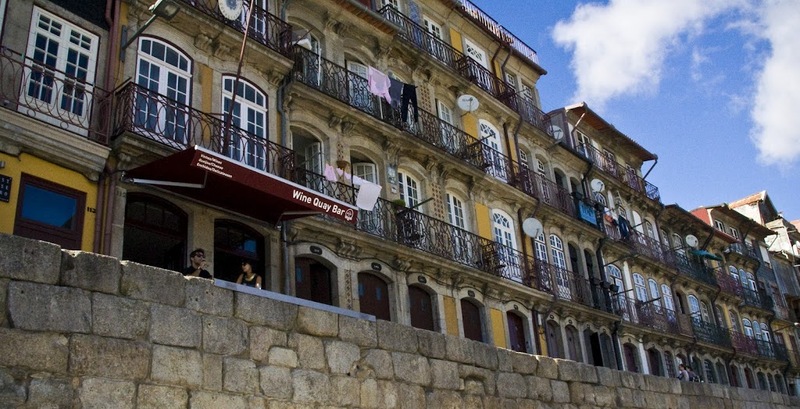 But there’s more to Portugal than beaches, and with these 8 unmissable activities you can have an unforgettable day in Porto. This is the highest point to look out over the city, and a great way to get your bearings when you arrive. View over the Douro river from the top of the bell tower. It might not be much to look at, but this 100 year old café has some of the best food in Porto. 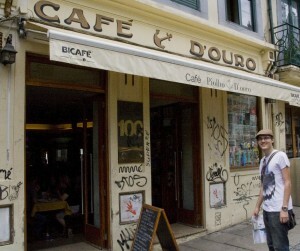 And Porto has some of the best food in Portugal. 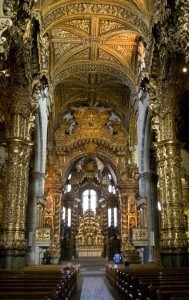 The interior of Portuguese churches can make you think of El Dorado; the infamous city of gold. 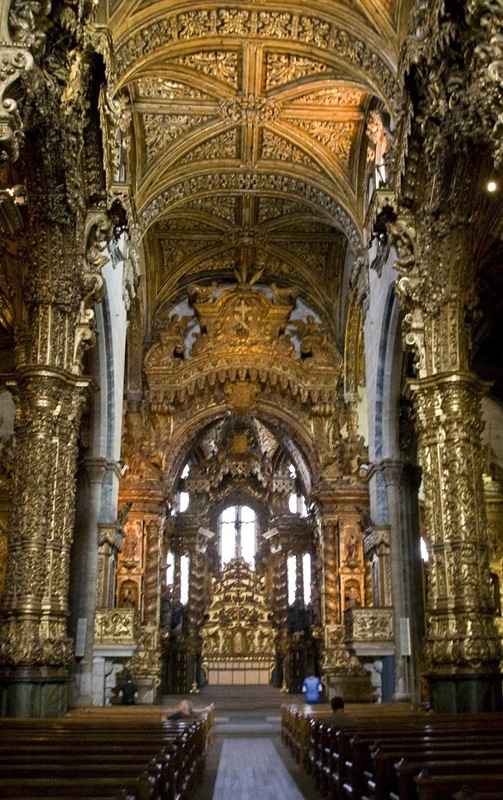 Jaw-droppingly ornate churches are everywhere. 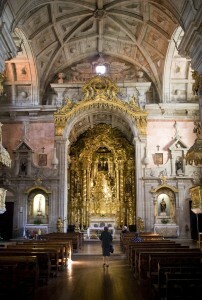 Pop into a random one that’s not in your guidebook. 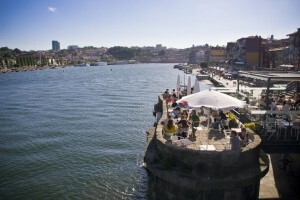 The Ribiera is Porto’s UNESCO world heritage status waterfront. 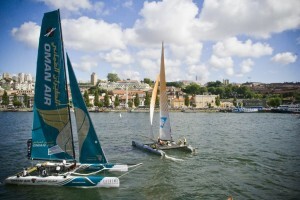 On the day we were in Porto, there was a regatta. There’s no railing, so this is the perfect place to sit with your feet over the edge and celebrate being alive. 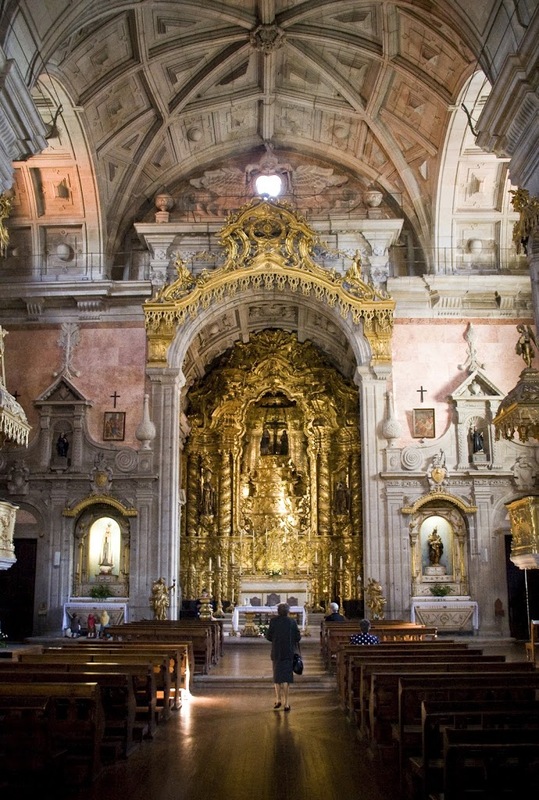 This 600 year old cathedral in the world heritage Ribiera is quite possibly the most ornate I’ve ever seen (plus the crypt downstairs has skeletons). Right next to the Dom Luís bridge, there’s a little café sitting out over the edge of the water. The food is unremarkable, but this is a fantastic spot to enjoy the sun with a jug of sangria. 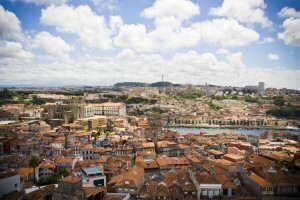 Porto is (as the name would suggest) the port wine capital of the world. 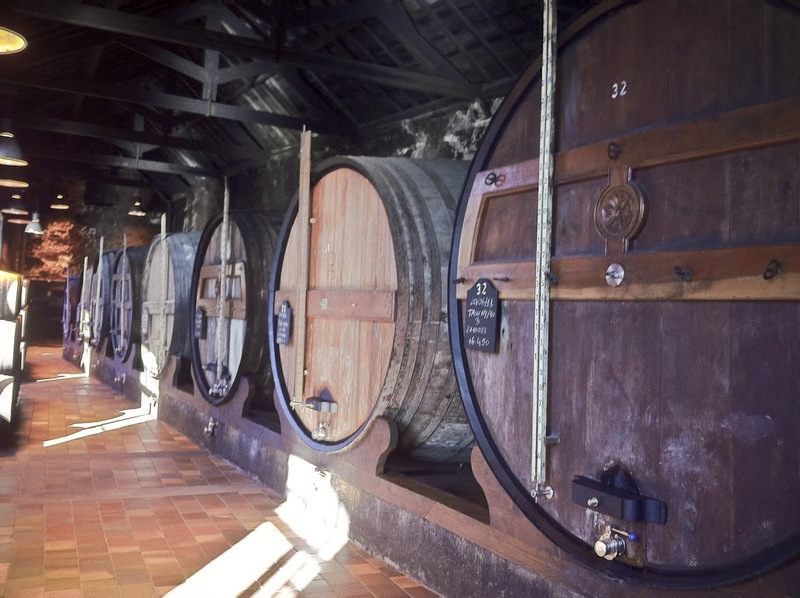 On the Vila Nova de Gaia side of the river, there are a dozen or more port wine cellars, each offering tours for €3-5. We chose Burmester, because we’d heard that their location cut into the cliff face was the most remarkable. 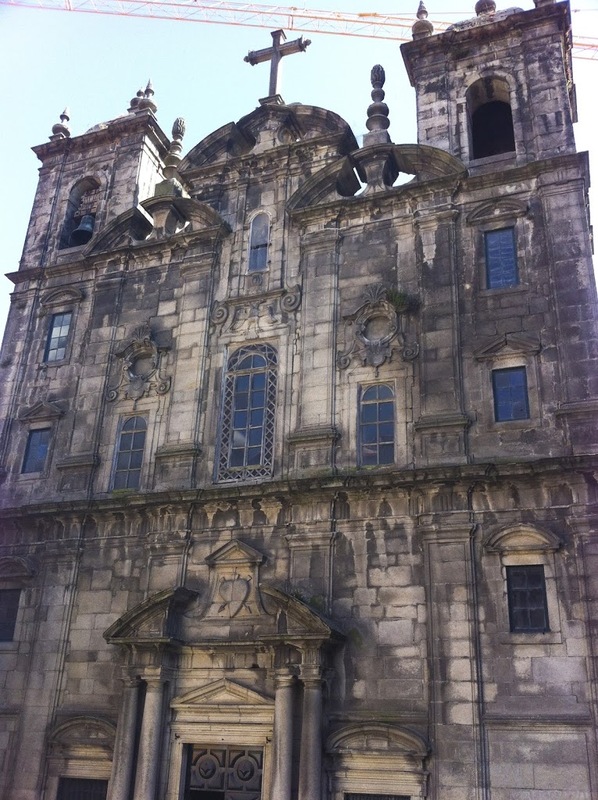 It was extremely interesting and the highlight of our day in Porto. 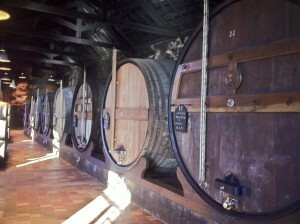 Plus I discovered a new-found enjoyment for port. 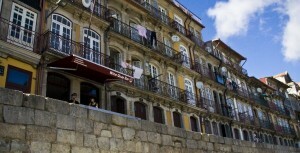 The gondola in Porto is relatively new, and some think of it as a tourist trap. 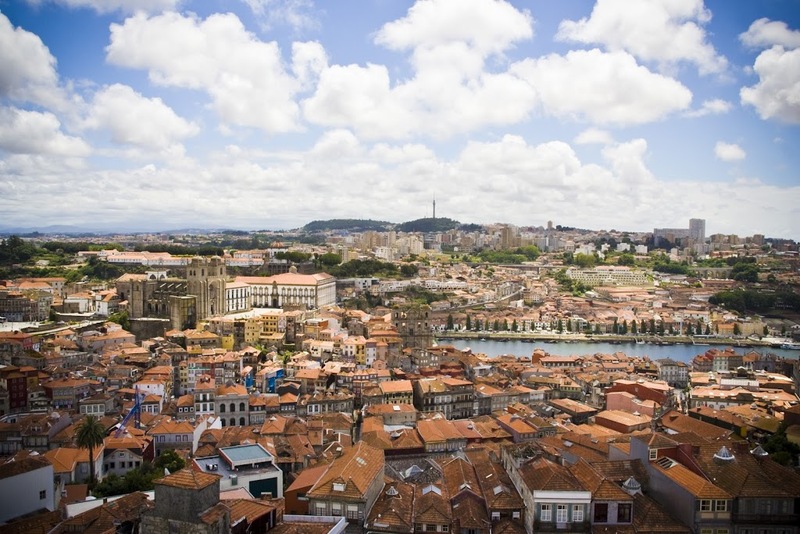 But when you see the historic Ribiera from the air, the view is priceless. 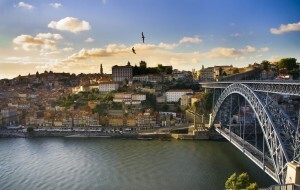 Fantastic Post, well-written and amazing photos, I’ve always wanted to go to Portugal, what a great list! 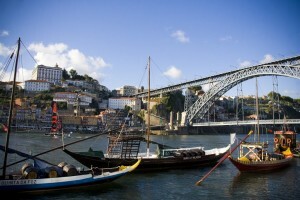 Thanks, I loved my day in Porto and these were the best 8 things I discovered there! Fantastic, thanks for this post. I’m heading to Porto in early September to catch the Travel Bloggers Unite conference. Are you going? I would love to be there… we’ll see!